Kick off your visit on the 15th (Wed): look for gifts at Aap Ki Pasand Sancha Tea Shop, then hunt for treasures at Chandni Chowk, then take in nature's colorful creations at Humayun's Tomb, and finally contemplate the long history of India Gate. 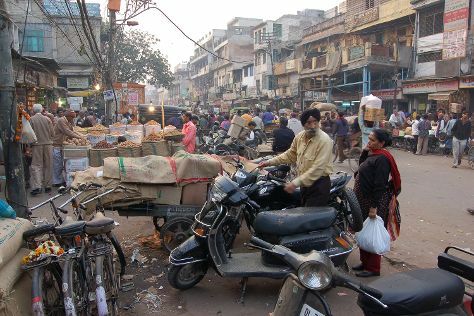 For photos, more things to do, traveler tips, and other tourist information, you can read our New Delhi travel route builder tool . The Route module shows you travel options from your home to New Delhi. In May, daily temperatures in New Delhi can reach 47°C, while at night they dip to 30°C. Wrap up your sightseeing on the 15th (Wed) to allow time to drive to Agra. Kick off your visit on the 16th (Thu): browse the exhibits of U.P Handicrafts Development Center, then view the masterpieces at New Nice Marble Art & Handicrafts, and then look for gifts at Marble Handicrafts Agra. Get ready for a full day of sightseeing on the 17th (Fri): explore the historical opulence of Agra Fort, admire the striking features of Taj Mahal, and then explore the galleries of Shahin Arts. For reviews, where to stay, traveler tips, and more tourist information, refer to the Agra day trip planning tool . You can drive from New Delhi to Agra in 3 hours. Alternatively, you can take a train; or take a bus. May in Agra sees daily highs of 48°C and lows of 30°C at night. Wrap up your sightseeing on the 17th (Fri) to allow time to travel to Leh. Start off your visit on the 18th (Sat): admire the verdant scenery at Markha Valley and then capture your vacation like a pro with an inspiring photography tour. Get ready for a full day of sightseeing on the 19th (Sun): contemplate in the serene atmosphere at Samstanling Monastery, then look for all kinds of wild species at Donkey Sanctuary, then view the masterpieces at The Little Paradise, and finally look for gifts at Pashmina House. Plan trip to Leh with our itinerary maker to find out where to go and what to do. You can do a combination of train and flight from Agra to Leh in 5 hours. Other options are to drive; or do a combination of train, taxi, and bus. Finish up your sightseeing early on the 19th (Sun) so you can travel to Pahalgam. 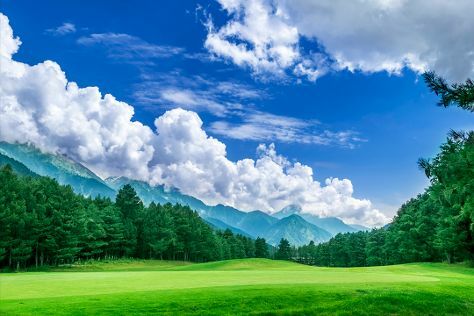 On the 20th (Mon), play a few rounds at Pahalgam Golf Course and then identify plant and animal life at Betaab Valley. 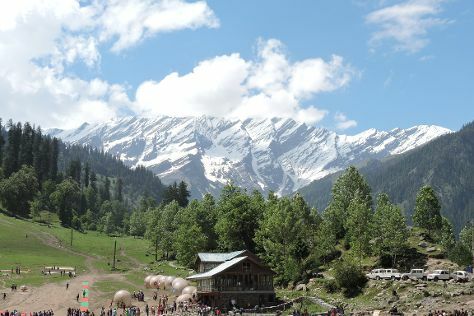 For ratings, more things to do, other places to visit, and other tourist information, go to the Pahalgam trip planner . Getting from Leh to Pahalgam by combination of flight and taxi takes about 2.5 hours. Other options: do a combination of flight and bus; or drive. May in Pahalgam sees daily highs of 26°C and lows of 18°C at night. Cap off your sightseeing on the 20th (Mon) early enough to travel to Manali. On the 21st (Tue), explore the activities along Beas River, appreciate the views at Solang Valley, then take in the dramatic scenery at Jogini Waterfall, and finally take in the spiritual surroundings of Hidimba Devi Temple. For traveler tips, maps, ratings, and more tourist information, use the Manali trip itinerary builder app . You can do a combination of taxi, flight, and bus from Pahalgam to Manali in 8.5 hours. Other options are to drive; or do a combination of bus and train. Cap off your sightseeing on the 21st (Tue) early enough to travel back home.